Happy New Year! I’m excited to welcome 2010 at the Bookshelf with something unusual: an interview with Konstantin Gurevich and Helen Anderson, who translated Ilf and Petrov’s Золотой телёнок (The Golden Calf) for Open Letter (first page preview). Konstantin and Helen both work as librarians at the University of Rochester, and they are married. I included their notes on their backgrounds below, after the interview. I enjoyed Konstantin and Helen’s answers to my questions because they sum up so much about translation challenges and techniques, and the enthusiasm translators bring to their work. My only regret is that the interview took place over e-mail rather than in person, over an endless pot of tea and copies of Ilf and Petrov! I added nothing to their answers beyond a few links and a response to Konstantin’s question about Liudmila Ulitskaia’s novel Даниэль Штайн, переводчик (Daniel Stein, Translator). How did the Golden Calf translation project come about? KG: Open Letter’s very first book, Nobody’s Home by Dubravka Ugresic, had plenty of praise for The Golden Calf. So Chad Post, the director of Open Letter, became intrigued and read it. He loved the novel but not the translation. HA: When Chad moved to Rochester, I met with him to welcome him to campus. He mentioned The Golden Calf and how it needed a new translation. So we submitted a sample chapter to the editorial board, and it went from there. How do you work together? Do you have a specific division of labor or does it vary depending on individual passages? KG: I would do the first run of a chapter: not a rough draft, but to the best of my non-native ability, and I’d confer with Helen about whatever I found difficult. HA: Then I would edit it with the original in hand, then we’d discuss my edits, and go back and forth until we were both satisfied. KG: There was a lot of reading aloud, a lot of counting syllables – when we were working on the poems, for instance, or the iambic pentameters in Chapter 13, or some of the dialogue. We did try to convey the music of the authors’ sentences. HA: I often read aloud while editing. KG: And in the end, she read the whole novel to me in English while I was looking at the original – that was Marian Schwartz’s suggestion, a very good one. In your translators’ note, you write, “we approached the novel as a work of literature first and foremost, and aimed the translation at a broad English-speaking audience.” I understand this as a desire to make the book readable and (dare I say?) fun for all readers, not just those with a specific interest in Russian literature. Why did you choose this approach? And how did it manifest itself, in practice, while translating The Golden Calf? KG: Ilf & Petrov are tremendously popular in Russia, yet here, their fame is largely limited to the Russian studies community. We’d like to change that if we can. Тhe Russians love Ilf & Petrov not for their portrayal of the NEP or the Turksib, but for the humor, the spectacular wit, the relentless mocking. The setting may be Soviet, but the themes are universal: the individual against society, the pitfalls of get-rich-quick schemes, the disorientation that comes with achieving one’s goals. So we concentrated on all that and simplified certain Soviet realia in order to avoid copious notes, which Open Letter frowns upon anyway. Basically, we aimed at people who don’t necessarily want to read a Russian book, just a good book. HA: We’re very pleased that most of the early reviewers focus on the spirit of the novel rather than its setting. Can you provide an example or two from the translation? KG: For starters, we - controversially, no doubt - converted all the kilos, puds, versts, and kilometers into pounds and miles. Or take The Budyonny March sung by the Indian philosopher. For most Americans, it’s gibberish, and the irony is lost. The song opens with “We’re the Red cavalry...”, so we made it into The Red Cavalry March. HA: Or, when the authors say simply “Lunacharsky”, we say “the Education Commissar Lunacharsky”. Speaking technically, what was the most difficult aspect of translating The Golden Calf into English? Finding equivalents for difficult specialized vocabulary? Rhythm and length of sentences? Conveying the authors' tone? Something else? HA: Struggling with inadequate Russian-English dictionaries. Avoiding anachronistic vocabulary. KG: The most mundane things: fabrics, clothing, body motions, pejoratives. Are you working on a new translation project? If so, what is it? KG: Not at the moment. This was a labor of love, it won’t be easy to repeat. Otherwise, I’d like to continue with something funny. HA: Absolutely. I like translating humor. I can't let you go without asking about your favorite Russian books and writers. Are there any you'd like to recommend to readers? KG: Besides Ilf & Petrov? 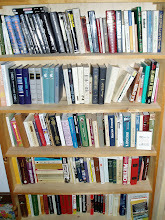 Bulgakov, Venedikt Erofeev, Chekhov’s prose, Kozma Prutkov, Sasha Chernyi. HA: Gogol is my favorite. 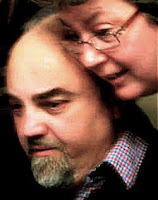 Of contemporary authors - Akunin and Ulitskaya. KG: Yes, her Daniel Stein, Translator is incredible. Is anybody translating it? LHE: Overlook Press purchased U.S. rights to Daniel Stein; as of September 2009, they were looking for a translator. HA: What did we like best about the experience? I really enjoyed the relentless discussions we had about language and about the novel while working as a team. KG: For me, it was translating the poems, the word puzzles, some of the names. It felt like playing word games with Ilf & Petrov. Konstantin Gurevich was born in Moscow, studied English since the age of five, first read Ilf & Petrov at about eleven. Graduated from Moscow State University with a science degree and a technical translator certificate. Did technical translations for a few years. In the 1980s, also taught Russian translation at the University of Texas at Austin, where he obtained a degree in library science. For the last 26 years, he has largely worked in US academic libraries. Helen Anderson was born and raised in Toronto. She began studying Russian in high school when, in order to attend the same school as her friends, she had to choose a subject that wasn't available at her local school. She continued studying Russian at McGill University where she tried to read the Golden Calf both in Russian and in English, but failed to appreciate it in either language. With degrees in Russian Studies and library science, Helen has worked in academic libraries ever since, building Russian collections, among others. Disclosures: Open Letter provided me with a copy of The Golden Calf plus a virtual introduction to Konstantin and Helen. What a great interview. I work with Helen and Kostya, but didn't really know very much about the actual experience of translating the novel. Thanks! Thanks for your note, Katie, I'm glad you enjoyed the interview!